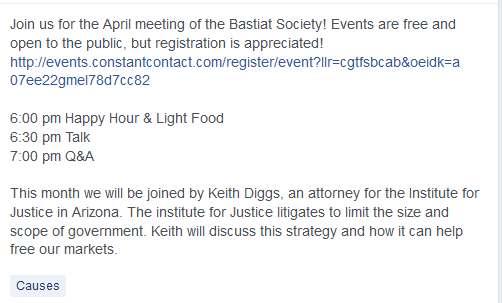 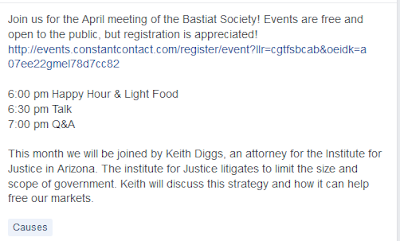 The Bastiat Society meetings are always enjoyable. 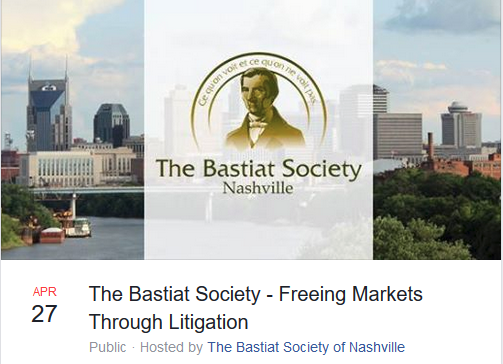 They are a great opportunity to network and fellowship with fellow conservatives and the speakers are visiting scholars and top-notch experts in their field. To view the Bastiat Society Facebook page follow this link.